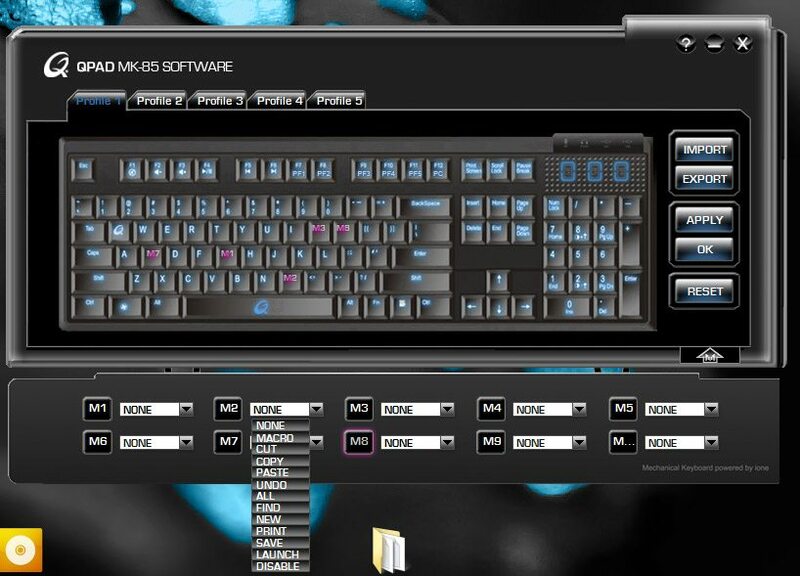 The software that coes with the Qpad MK-85 is a bit basic in its functionality, but its far and beyond what you normally get on a mechanical keyboard: nothing. 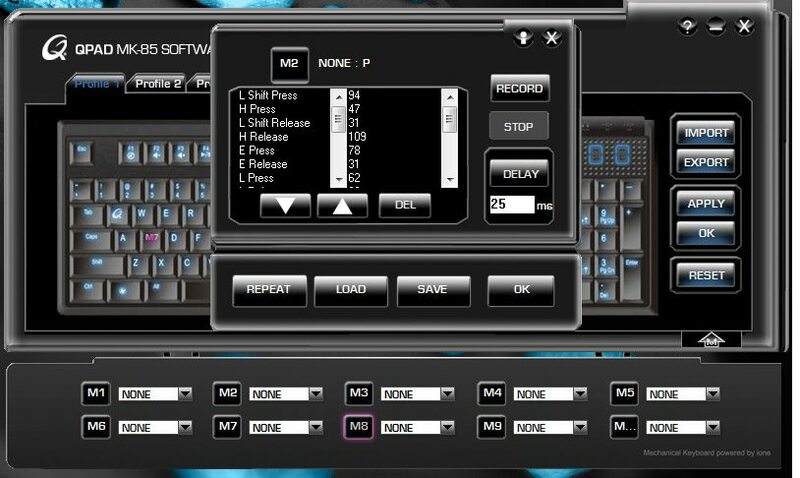 There’s the ability to remap up to 10 different keys on the board at once, per profile – of which there are 5 – with several pre-set options as well as Macro recording ability. It’s a bit basic, but the funcionality is there. 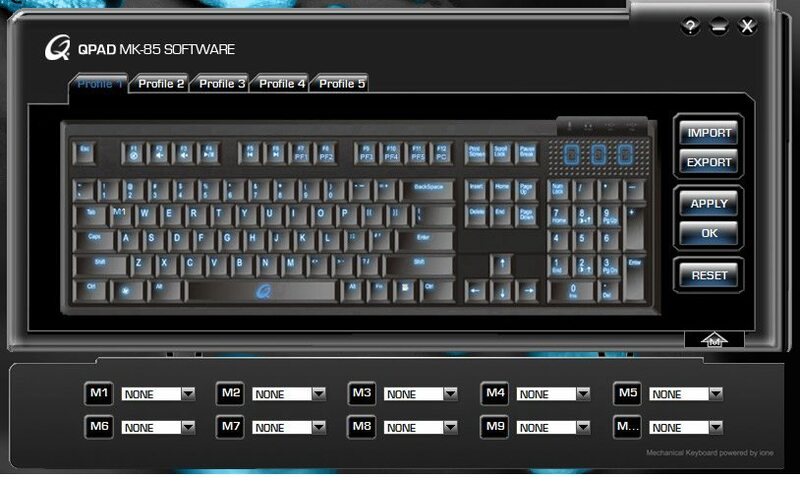 Compared with some companies like Roccat, where the software is beautifully put together, this seems a bit streamlined, but that’s what mechanicals are good for so its hard to argue too much.